1. Create an account that will give you access to discounts on theme parks, sports activities and local businesses for a trial period of 30 days without any obligation by choosing a username and filling out the registration form. You will be asked to input a credit card number but will not be charged unless you fail to cancel your account after the 30-day trial. If you do not cancel your account, you will continue to enjoy the same savings without any disruption. Visit any of the Business Peace Partners and get the special discounts you have earned from your support. 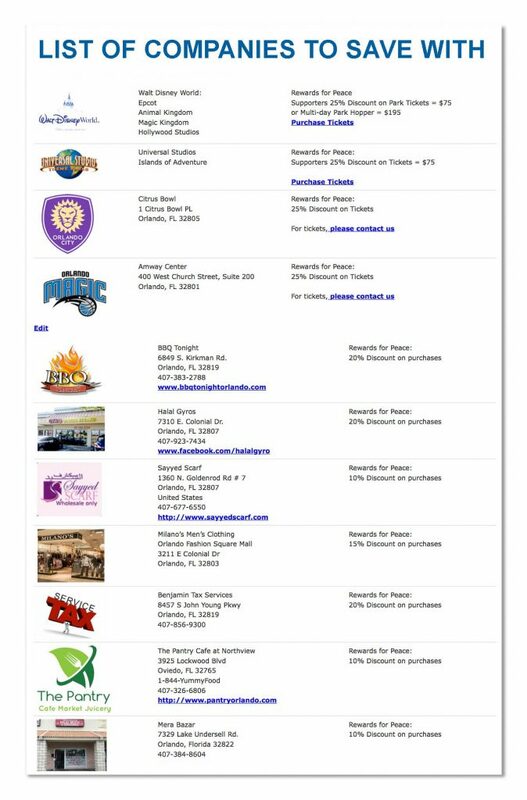 When you visit any of the businesses on the list, just show them the Rewards page after you log in to your account from your phone to claim the discount. For questions, please contact customer service from the Contact Us page.